Mei Lan Fang was born in Peking in 1894 and died there in 1961. He was one of the most famous Peking Opera artists in modern history. “My Life on the Stage” is a selection of his writings published in Chinese Literature Monthly in 1961. This book (that is in English) was printed in 1986 by ISTA (International School of Theatre Anthropology) in Italy to mark the fiftieth birthday of Eugenio Barba. 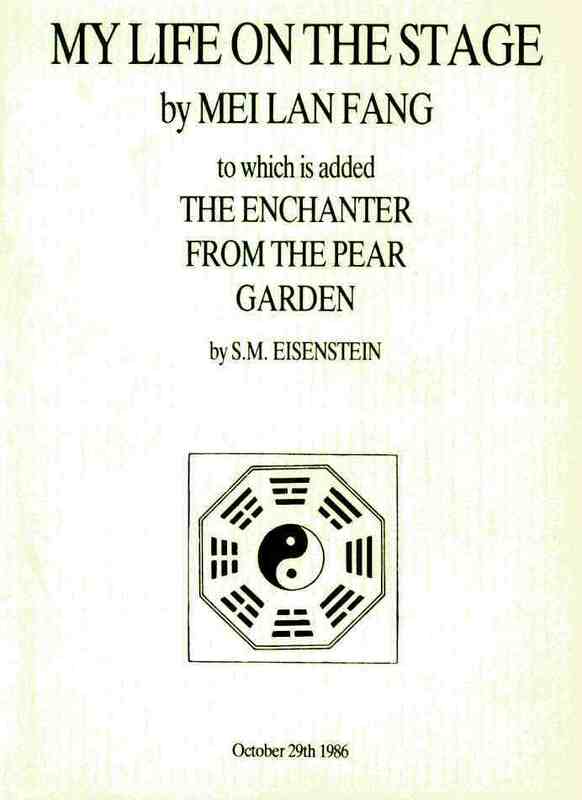 The book also contains “The Enchanter from the Pear Garden”, an article by S.M. Eisenstein on the occasion of Mei Lan Fang’s performances in Moscow, published in Theatre Arts Monthly in 1935.